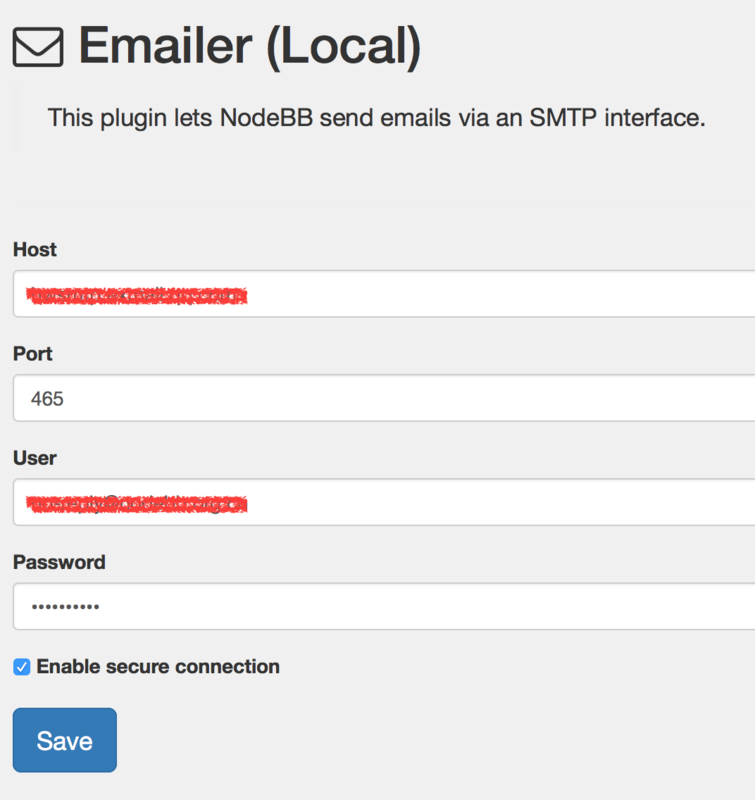 I dont have any emailer plugin installed but nodebb states " Emailer Installed" ? Why kan i only dowload from "https://github.com/mario56/nodebb-plugin-emailer-local-0.7" in the <-- Is this the NodeBB main repository? Can someone confirm a working setup with gmail smtp service? Don't we have one for Mandrill ? Yeah I know, but it would be better with at working plugin where settings for ssl and google smtp works. I dont have any emailer plugin installed but nodebb states "Emailer Installed" ? What output give you ls node_modules | grep emailer? If you get some thing like nodebb-plugin-emailer-local-0.7, you can use npm uninstall nodebb-plugin-emailer-local-0.7 to uninstall them. Find the settings KEYS *mailer*. Example result: 1) "settings:emailer-local" and remove it DEL settings:emailer-local. And exit. What is the best and correct way todo this? Google SMTP was working in v0.6. However, it doesn't work in v0.7 or I am doing something wrong. Can I easily use dynamic content loading on a static webpage? I added a bunch of static webpages with content, but I would like it to load once the user scrolls down, in the same way as the forum works. Can I easily do this or am I better off using something else? Thanks!